Matthias is an entrepreneurial business strategist with over 10 years of consulting and project management experience and joins iComply as Systems Architect. He has worked with blue chip companies around the world and has a proven track record of successful project implementations across the banking, automotive, insurance, manufacturing, maintenance, aviation, and cybersecurity—including leading the cybersecurity implementation for the Israeli Military. 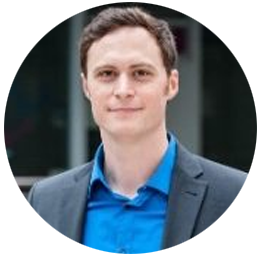 With his extensive programming and software architecture background in blockchain and financial technology sectors, Matthias has developed the architecture and programming for cryptocurrency exchanges and has consulted internationally on the subject. Currently, Matthias manages a multinational team of up to 50 developers, involving development programs of nearly a thousand users. He holds a Bachelor’s degree in Business and Information Science from the University of Applied Science in Ansbach, Germany, and has co-authored the SAP Press book, “Business Rules Management mit ABAP”.